Avery Hill is a stunning collection featuring metallic accents from Robert Kaufman Fabrics. 100% Cotton. 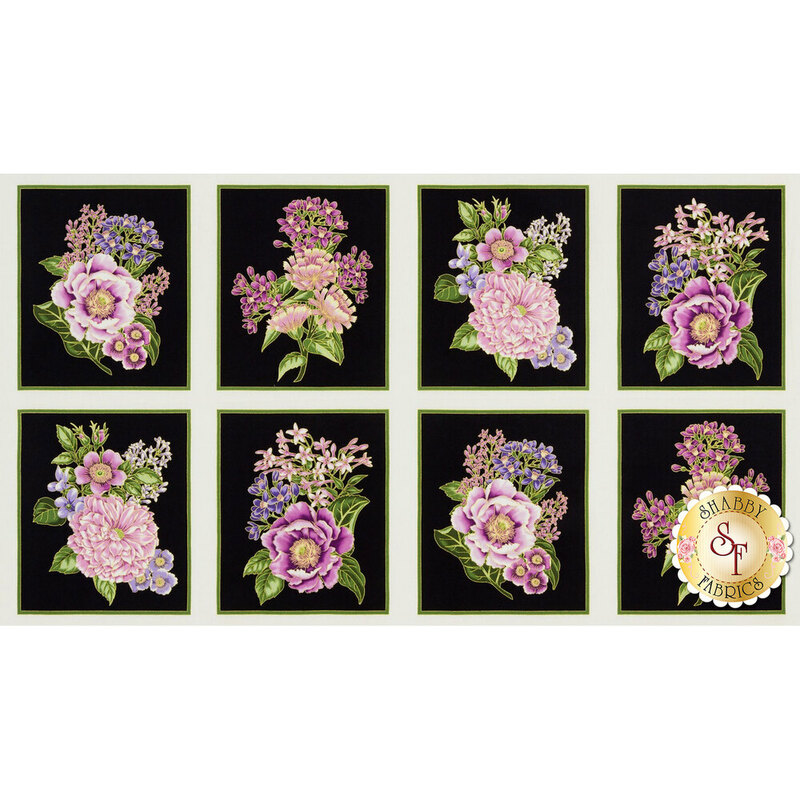 This panel measures approximately 24" x 44". 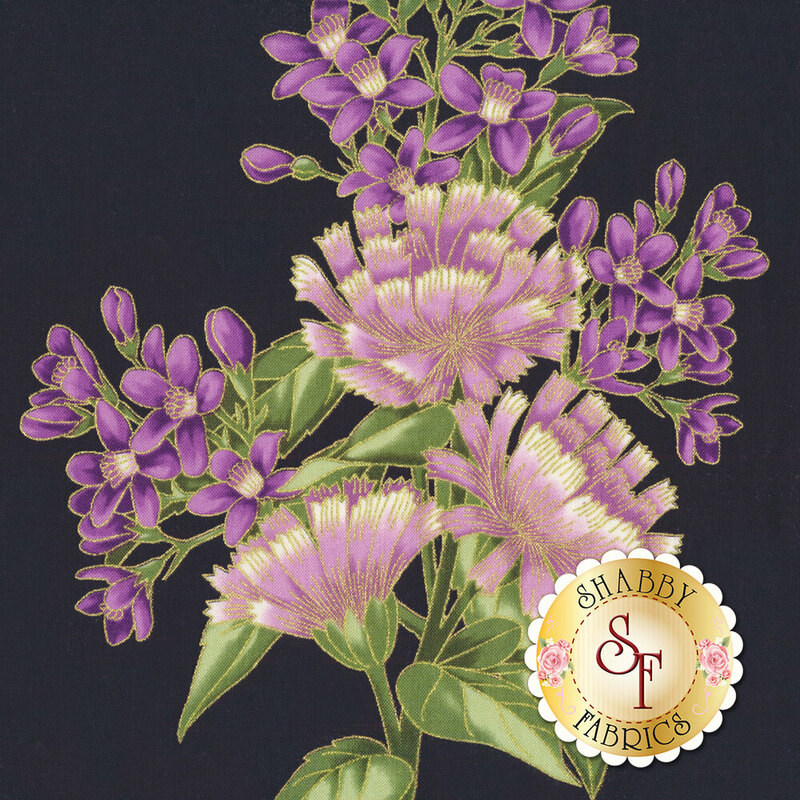 Use this darling floral panel as a centerpiece for your next project.